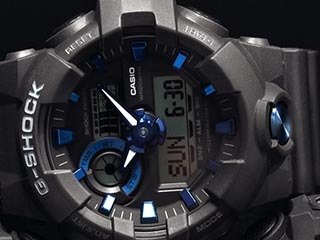 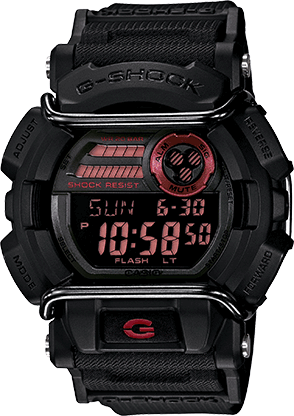 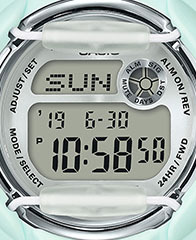 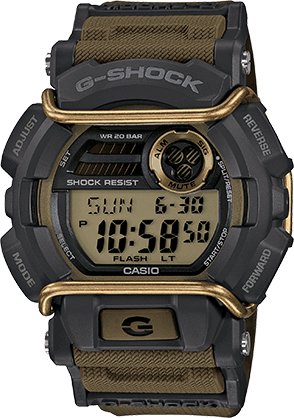 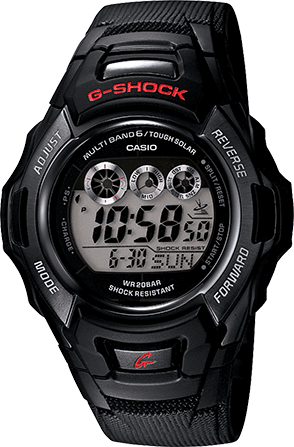 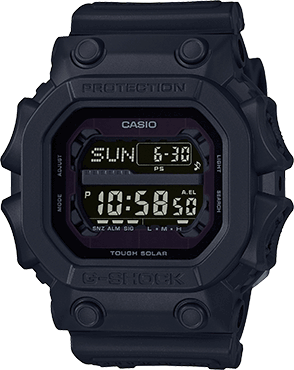 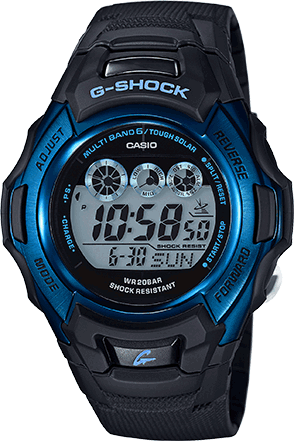 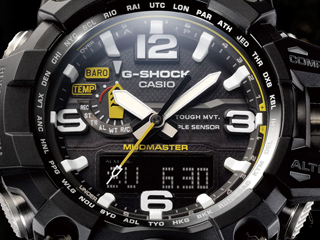 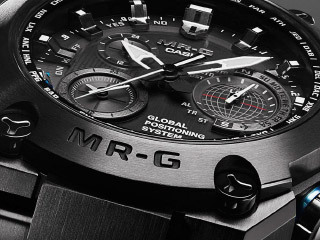 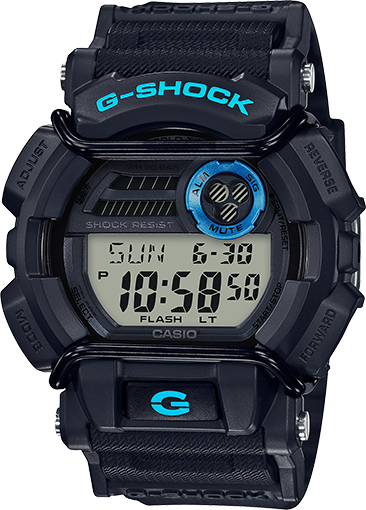 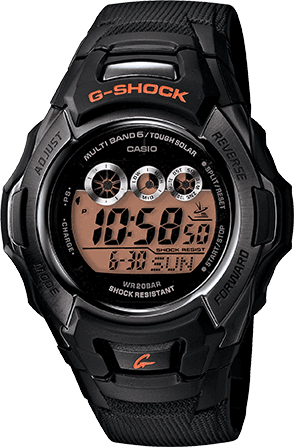 G-Shock model with face protectors that are so popular for young aficionados of skateboarding and other street sports. 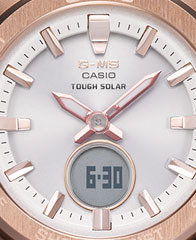 Classic designs are freshened up with a protector for the areas where the band joins the watch. 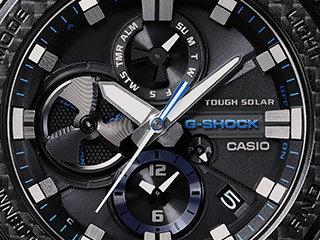 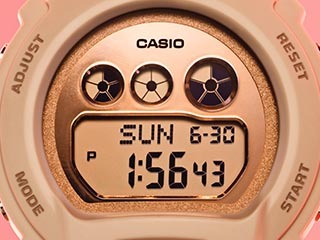 High-luminosity LED lighting provides easy reading, even in the dark. 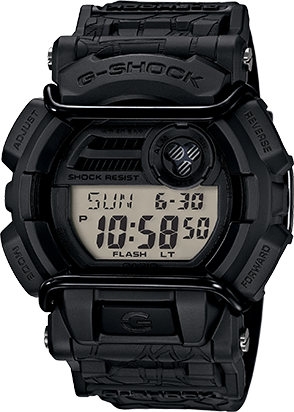 Black face with black resin band.